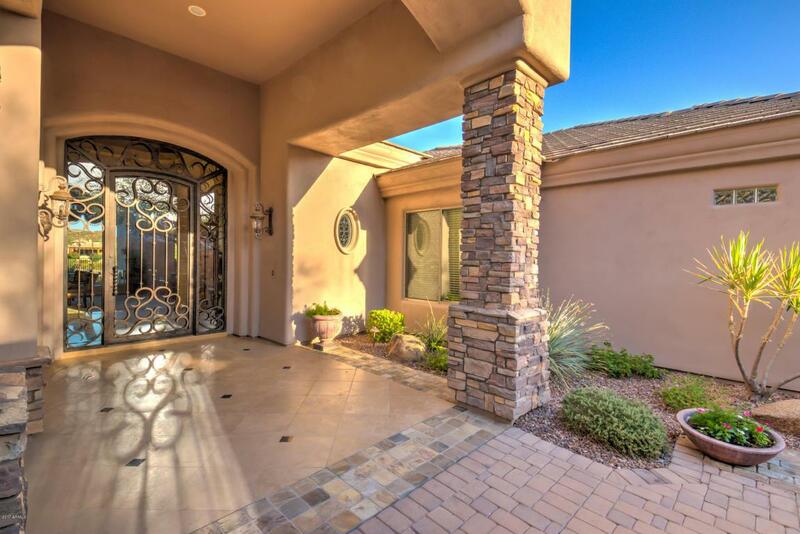 This gated community custom basement home offers everything one could want. 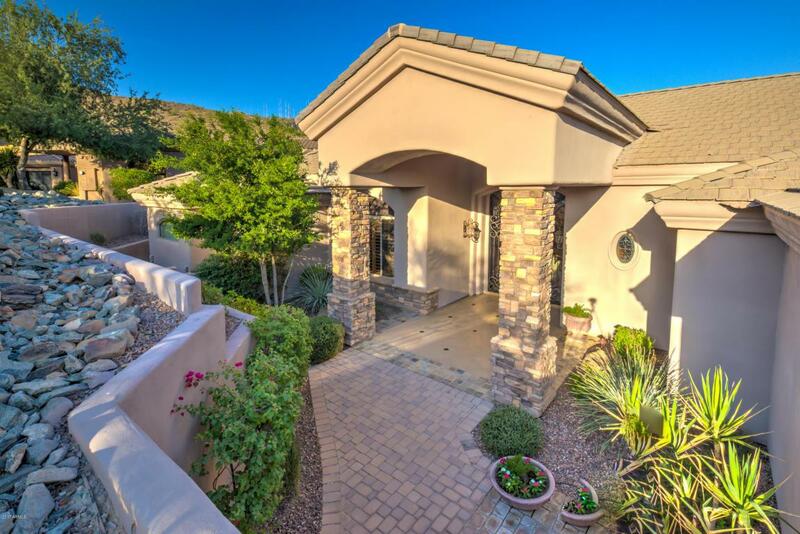 Sitting on OVER AN ACRE lot in the pristine desert, surrounded by views of South Mountain. The heated pool/spa offer a slide and grotto for entertainment, while sitting in a secluded desert setting and offers many outdoor living areas. 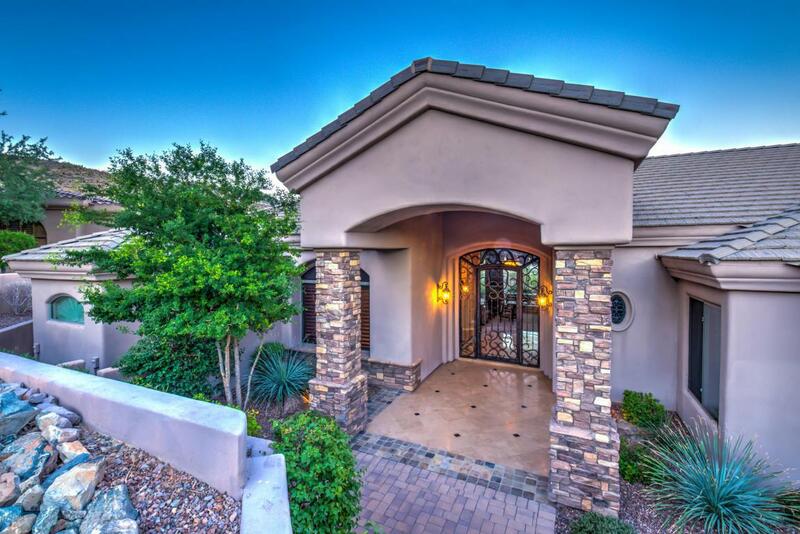 This home is 2 stories, but all bedrooms are on the main level. The interior is built for entertaining and lots of family activity! Every bedroom accommodates a queen bed and has its own walk in closet, bath/vanity. 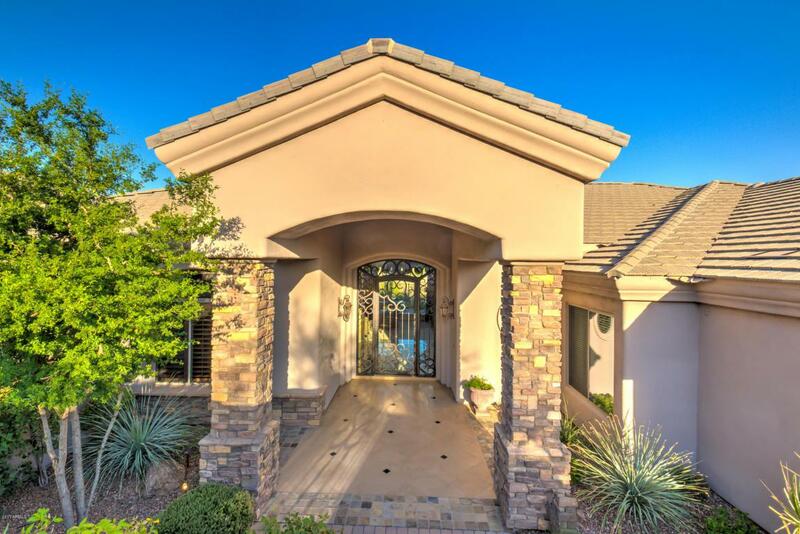 The master bedroom, living room, family room, Master 2 bedroom, and kitchen all offer soaring desert views. The WALK-OUT basement offers home theatre, separate kids TV area, and loads of storage. Located in the award winning Kyrene and Desert Vista school district.